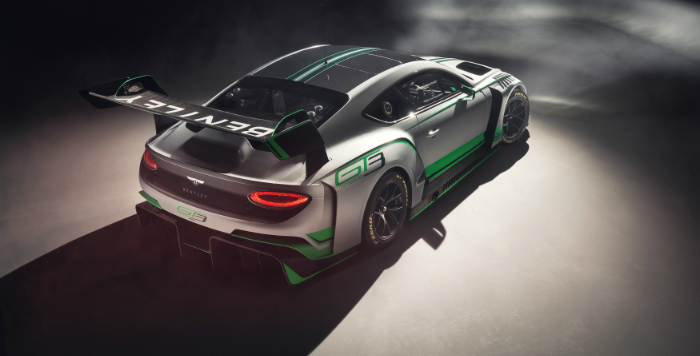 Bentley Motorsport has unveiled an all-new version of its Continental GT3 racecar, which is currently undergoing development for the 2018 season. Development of the car is being undertaken by in-house motorsport team and Bentley’s motorsport technical partner, M-Sport. The 2018 Continental GT3 has been designed from the all-new Continental GT road car, taking advantage of its mostly aluminium structure has race-ready weight of ‘significantly’ less than 1300kg. The engine is a development of the existing, race-proven 4.0-liter twin-turbo V8, which now features a redesigned dry sump system, and all-new intake and exhaust systems. 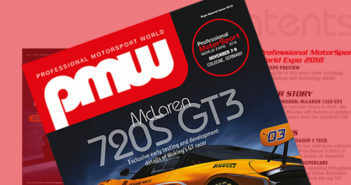 Unrestricted power is said to be in excess of 550bhp, whilst the car’s suspension and braking systems are new and bespoke to the Continental GT3.